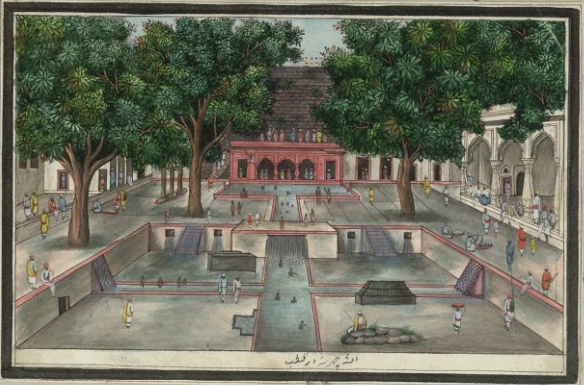 Mughal Delhi was a city of gardens and orchards with a variety of advanced water supply features. In 1803, the British defeated the Maratha forces and began to rule in the name of Mughal Emperor. While the British initially found Delhi healthier than other Indian cities, within forty years, Delhi had become dangerously unhealthy with inadequate water and drainage major concerns. Colonial government responses to this situation continue to structure Delhi’s contemporary water issues. How was water understood and accessed in Delhi under Mughal, Company and British rule? What were the transitions and continuities between these different systems? This talk traces urban water provision from the 19th to early 20th century, as Delhi moved from sophisticated systems of wells, channels and canals to piped supply. Government understandings of urban water changed from concerns with military health and sanitation to safeguarding water as an important source of municipal income. Pre-existing tendencies towards patronage, biased supply, and uneven communal and household arrangements meshed with the segregated modernism and wider political economy of colonial rule. The talk links Delhi’s contemporary water supply with longer histories of water in the city to show continuities across different eras of governance and their continuing relevance. Matt Birkinshaw researches urbanisation, infrastructure and governance, with a focus on India and South Asia. His doctoral work at the London School of Economics examines water supply in Delhi and the relationships between politics, reform and informality. Matt’s writing has been published in The Guardian, Economic and Political Weekly and OpenDemocracy.